Decorative tiles were used initially in a utilitarian way due to their functional characteristics. They were later used as designs and creative art pieces when Roman discovered how attractive and captivating these tiles were. Additionally, they usually add a level of spice and flair to various homes. Both the bathroom and kitchen backsplash areas are central focus points and eyes naturally draw to these areas when someone walks into the room or standing in the sink area. If you intend to make a good impression and also enhance the backsplashes in your bathroom and kitchen, then using decorative tiles is the best option. A typical kitchen splashback is a large area and is a perfect location where decorative tiles can be installed. You can either choose a small or large design based on the space available. There are aesthetic and practical benefits of tiling this area. The first one is that your kitchen would be protected from grease splatters, heat and moisture, and you will not have to be concerned with doing any kind of drywall repair or repainting due to the elements which cause damage to the area. In addition to that, you do not have to use dull, plain tiles to cover this vital area, tile murals with unique designs can be used to add a much-needed colour above your countertops. Decorative kitchen tiles are widely popular due to their attractive and adaptive characteristics; these tiles are commonly used in the kitchen and bathroom where backsplashes are common instalments but are sometimes integrated into hallways, bedrooms and sometimes living rooms. The decorative tiles are easy to maintain, and there are several cleaning products which can be used to make them look new for a long period. It is essential to get a design which you will find appealing for a long period since you use the kitchen frequently. Decorative ceramic tiles add an elegant flair to any home setting; custom printed decorative tiles can be used for this purpose, or they can be painted by hand. The tiles are durable, can improve the look of any space, and are very easy to maintain. The usage of these decorative tiles is common in the kitchen and bathroom, but the dynamic and stylish effect can also be replicated in other internal and external part of the home. 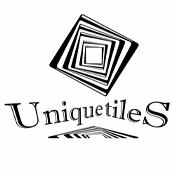 The designs which can be gotten from these picture tiles are limited by your imaginations, and they are mostly handcrafted by artist or designers with fluidity and perfection. Their designs can range from cultural colours and shapes to ancient portrayals of animals and humankind. There are some which also follow a specific theme like decorative kitchen tiles murals. Then others are blank which can be painted by homeowners to match their taste and style. Digitally printed wall tiles are the new area of technology which makes it easy to accomplish this and also enjoy the uniqueness of a remarkable design trend. The most exciting thing is the ability to enlarge and have the design and picture adjusted to fit perfectly in the area where you want it installed. Decorative wall tiles mural are usually hand painted and then fired in a kiln; the firing would add permanence to the paints so that it would not wash, fade, rub off or even be affected by heat. If they are utilised as a splashback in kitchens, they are going to be prone to splashes of hot oil, liquids and foods. They will likewise withstand constant moisture in the bathroom and would last a lifetime if cared for properly. Creative individuals who are looking to use decorative ceramic picture tiles will be able to find and purchase tiles at a low and affordable cost. These tiles can then be made unique by the application of remarkable design trend based on the location. Ceramic decorative tiles are exceptionally durable having being used successfully throughout ancient Rome. It is perfect for areas with high traffic because of its beauty, strength and resistance.